As a woman, do you find your emotions all over the place? Are you just starting over in life alone or with your kids? Are you at mid-life experiencing empty nest? Are there other life transitions leading you to experience up and down emotions and moodiness? Do you find your private life closing in on you with few places to turn? Are your life changes too embarrassing or awkward to talk about with friends or family? Are you struggling with life decisions which bring sadness or anxiety? Are you in a place where you have to help with decisions for your aging parent? Is your relationship with your spouse or partner pretty chaotic? Are relationships in general messed up, strained, or in a state of confusion or conflict? Are you at odds with your mom or with your adult children? Do you feel lonely or isolated from others? Do you long to have a relationship built on love and trust? Are there times when you feel unsafe in your current living situation? We know that life is challenging for us as women in today’s world. 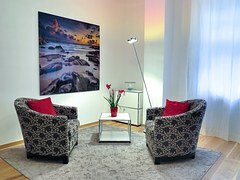 We have found that when our female clients talk out their feelings to someone who is warm, kind, caring, accepting, and trustworthy especially who listens without judgment, they are able to sort out their troubles more clearly and discover doable ways through in order to cope with life much better. There are unique situations and difficulties facing today’s woman….whether in relationships, job, roles, infertility, female changes, life transitions, self-esteem, or keeping up with our outside appearances. These things can put our thoughts & emotions into internal chaos where we lose sight of who we really are. Counseling may help you sort through the distortion and reclaim your true meaning and mystique. Consider one of our trained and caring female counselors who are willing to sit down with you and help you sort things out. Click on their name icon below and learn a little bit more about them. Feel free to call us at 520-292-9750 or email at joel@pathwaystucson.com. Sandy Green, Barbara Grinnell, Anne Sheffer, Kerry Kelly, Thea Thompson, Jessica Miceli, AllisonHanzel, Kim Arnold, and Debra Marshall are here to help.